As you would expect, concrete in Texas is rough, tough, and a little high-maintenance. 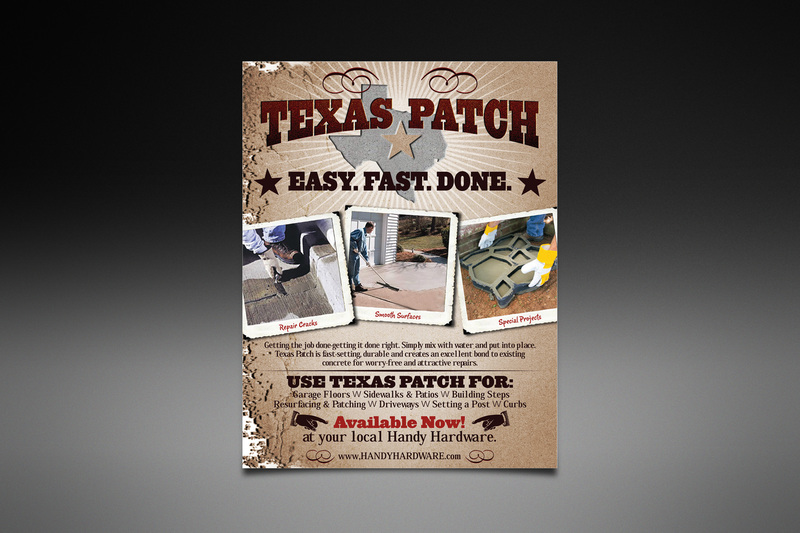 Handy Hardware carries a special quick set concrete product that stands up to the tough environmental conditions found in Texas. We developed a western-style advertisement that hollers about the product’s features and benefits with a nostalgic twang.